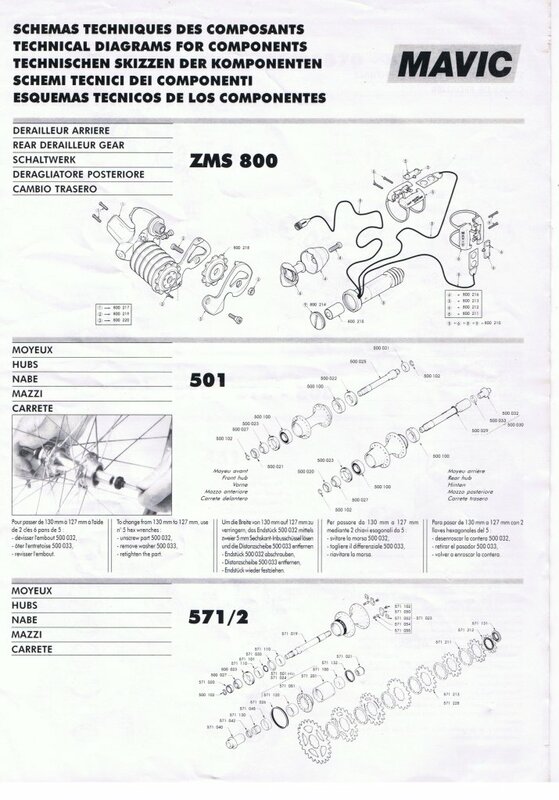 As promised, and only a day late, the 1994/1995 ish Mavic technical diagrams 4-pager.. Covering the ZMS 800 rear derailleur, 501 and 571/2 hubsets, 610 bottom bracket, 305, 315, 316 and 317 bottom brackets, 860, 862, 870 and 872 front derailleurs, 840 and 841 rear derailleurs, 451 brakeset, 631/2 crankset, 821 shifters and the 357 aero bar extension kit. Enjoy! I recently came upon a couple of different caches of Mavic literature. Original marketing or technical materials are invaluable resources. Unfortunately, a lot of people agree, and pay absolutely ridiculous prices for them on eBay. 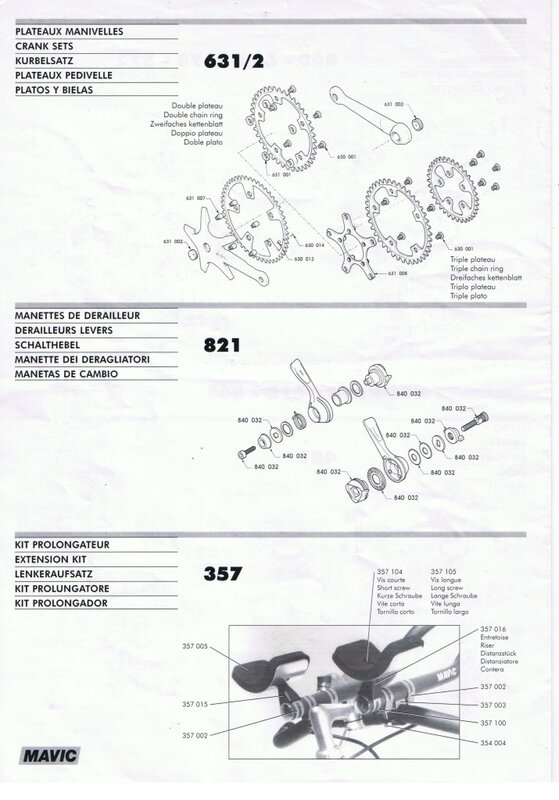 That's fine for the collector, but what about the guy who just wants to know how to work on their 851 derailleur? 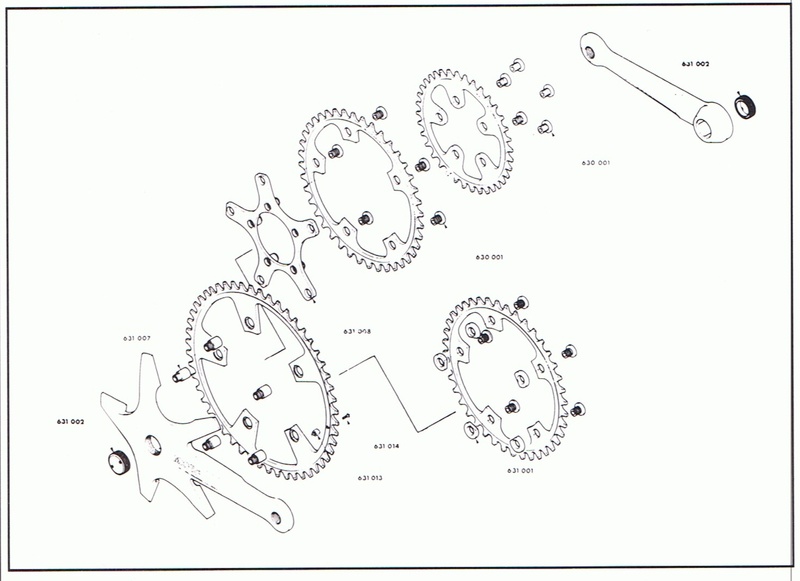 Or convert their 631 double crank in to a single? What about that guy? 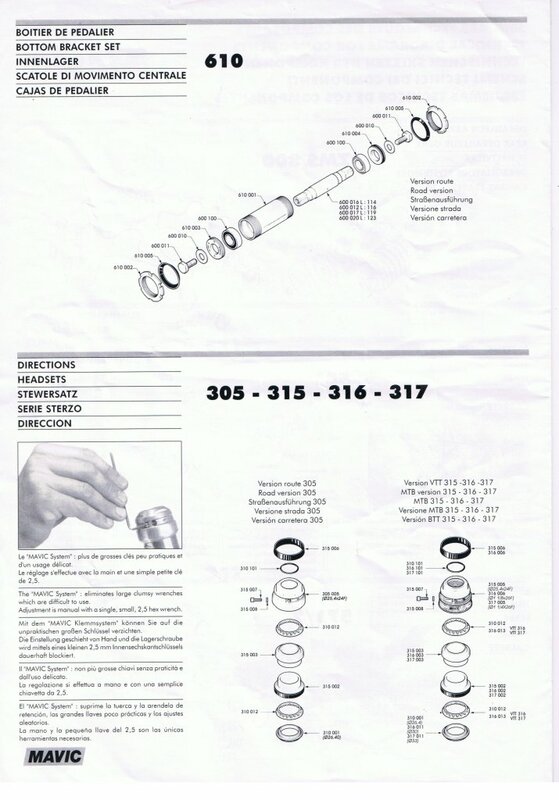 Don't worry, 305, 315, 316, 317 headsets, 500, 510 and 550 RD hubs, 610 and 616 bottom brackets, 637 crank, 646 pedals, 820 and 821 shifters, 845 and 801 derailleurs, we remember you too. 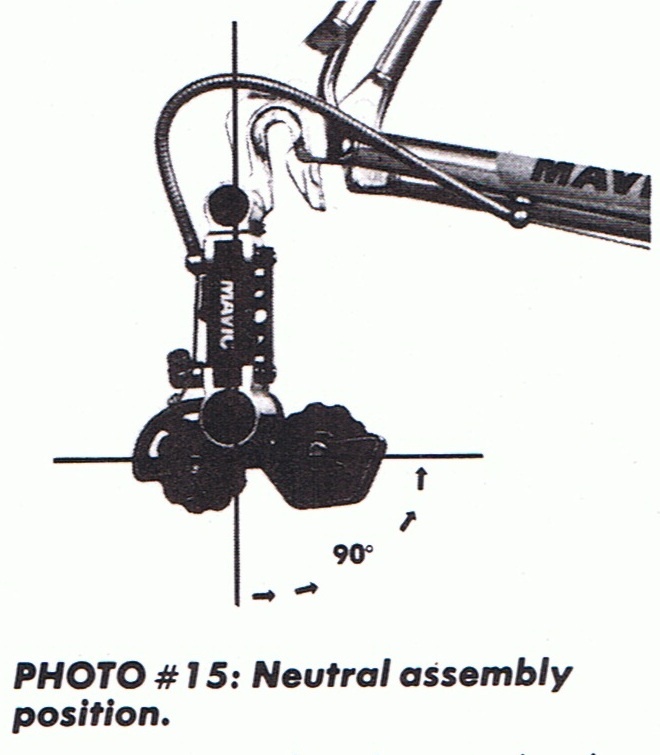 Here's the 89/90ish technical manual. 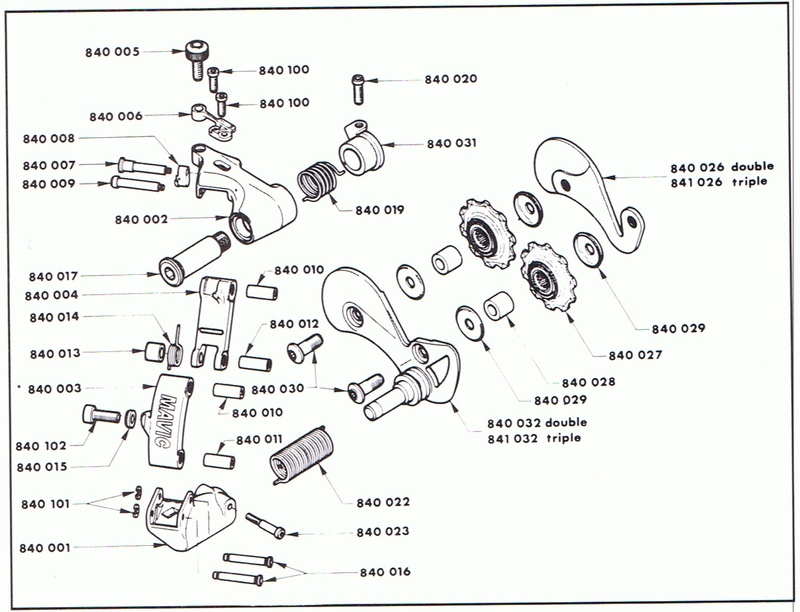 I'll post the later 1995ish technical diagram update tomorrow - that'll get the 571/2 hubs, 631/2 cranks, and a scad of other items in to the mix as well. Now go forth and fix your Mavic stuff! 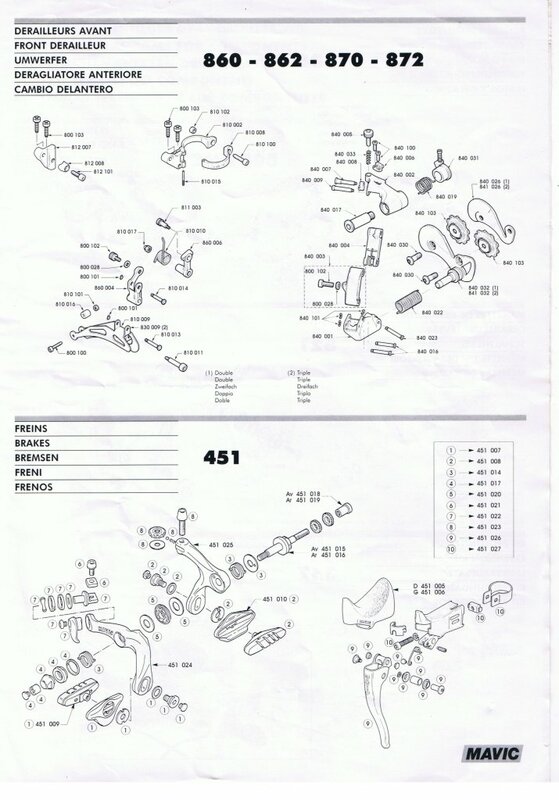 If you promise to stop making up random numbers for Mavic components, I might even post more! And if you're sitting on resources that aren't already scanned, scan 'em. If you need help, let me know.